Do Pediatric Adverse Events Occur More Often in Teaching Facilities? In a July 2018 article from the Academy of Pediatrics, researchers took a close look at data from 16 teaching and non-teaching hospitals around the country to explore whether efforts to reduce adverse events (AE) have had an impact—and the answer should sound an alarm for pediatric clinicians and safety officers everywhere. In their examination of 3,790 records, the researchers found that not only did AE rates in pediatric inpatients not improve during the six-year period examined, but those rates “were substantially higher in teaching hospitals” compared to community hospitals. The project arose out of the Pediatric Quality Measure Program, a series of grants to medical centers to develop measures of the quality of pediatric care. For this examination, the research team developed the Global Assessment of Pediatric Patient Safety (GAPPS) surveillance tool, which was formally approved by the National Quality Forum as a Pediatric Performance Measure in 2017. Using GAPPS, the researchers measured AE rates and trends from 2007 through 2012. Through their research, the authors identified 414 AEs, roughly half of which (210) they classified as preventable AEs. The majority of those events were the result of hospital-acquired infections (HAI). On average, teaching hospitals had AE rates of 26.2 vs. 5.1 compared to nonteaching hospitals. Neither teaching nor nonteaching hospitals experienced significant AE rate variations. Regardless, Stockwell concludes, that difference between academic and community hospital AEs is striking. Yoshihiro Aoki, with the Pediatrician Department of Intensive Care Medicine of Osaka Women’s and Children’s Hospital, suggested another possibility in a comment on the article: The quality of medical records might differ across hospital settings. 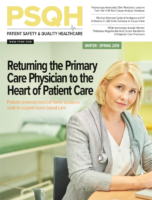 “There might be differences in the quality and quantity of medical records maintained for each patient since teaching hospitals presumably have a higher number of medical staff, including residents and fellows for whom medical recording is one important aspect of their training,” Aoki wrote. In other words, he explained, “we hypothesize that insufficiencies in the medical records in non-teaching hospitals might have allowed for events that should have been identified as AEs with proper medical recordkeeping resulted in the lack of detection by the trigger list.” Aoki cited research conducted by teaching hospitals to assess the quality of their medical records, whereas non-teaching hospitals might lag behind in this area. Regardless of the discrepancies, the researchers agree that the latest data should be a wake-up call for hospitals everywhere. Megan Headley is a freelance writer and owner of ClearStory Publications. She has covered healthcare safety and operations for numerous publications. Headley can be reached at megan@clearstorypublications.com.